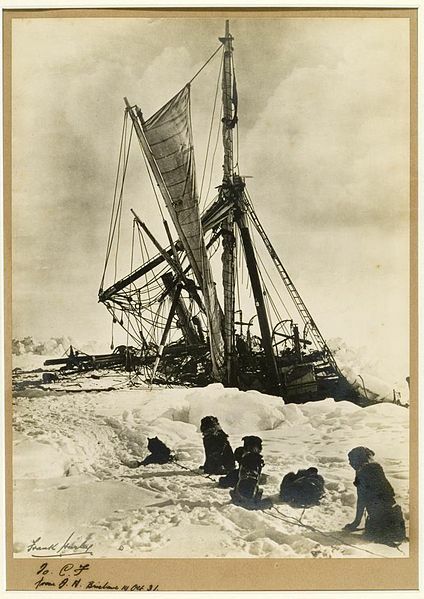 The miracle is that in the last days of The Endurance being crushed by pack ice, all hands walked away from the ship. Through great hardship Sir Ernest Shackleton (1874-1922) and a small accompaniment made it to safety at the South Georgia Station. Under his leadership and the crew’s perseverance the remaining crew members were rescued from the bitter weather of Elephant Island. One generation later our world was engulfed in World War II. The First World War was supposed to be “the War to end all wars.” Now, of course, we know war to be a part of the corrupted, power hungry nature of all humanity. Yet it was this Second World War that prompted journalist Tom Brokaw (b.1940) to write The Greatest Generation, a book describing the metal, the stamina and perseverance of the men and women who endured such a terrible conflict. What are we willing to endure to achieve our goals? Few of us even raise this question today; settling instead for surviving. If we can get up in the morning and get through another day we consider ourselves successful. Amazing! What will make our generation great? What will we have to endure to make a difference? Of the many words that rise to the surface, certainly commitment, sacrifice, stick-to-it-tivness, hard work, focus, and suffering must come to mind. Commitment and perseverance may just be their own rewards.